Free Shipping Included! 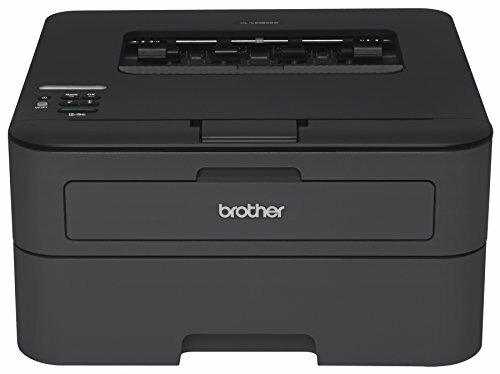 Brother Printer EHLL2360DW Compact Laser Printer, Duplex Printing & Wireless Networking, (Certified Refurbished) by Brother at MDA-MA. MPN: EHLL2360DW. Hurry! Limited time offer. Offer valid only while supplies last. Reliable, affordable monochrome laser printer for home or small office use. Connect via wireless or wired networking or hi-speed USB interface. Reliable, affordable monochrome laser printer for home or small office use. Connect via wireless or wired networking or hi-speed USB interface. 1-Line LCD display for easy menu navigation and setup. Automatic Duplex printing. Fast print speed up to 32ppm. Prints high-quality documents at up to 2400 x 600 dpi. Compact size, with adjustable Letter/legal 250-sheet capacity tray, and manual feed slot for envelopes. Print from compatible mobile devices over your wireless network. High-yield Replacement toner cartridge available to help lower cost per page. Toner save mode for less critical documents. 1-Year limited warranty plus free phone support for life of your product. This Certified Refurbished product has been tested and certified to work and look like new, with minimal to no signs of wear, by the manufacturer or a specialized third-party seller approved by Amazon. The product is backed by a minimum 90-day warranty, and may arrive in a generic brown or white box.